Live and Work in Canada - Enjoy Great Social Benefits - Gateway to Canada | Canada Immigration Consultancy! It took only nine months processing period from the time their application was filed until Mr Gilbert and Mrs Jaq Briones received their immigrant visa. Mrs. Jaquilyn Briones is a Chemical Engineer and her application for permanent residence in Canada was filed under the Federal Skilled Worker Program. They are now living a better quality of life in Canada as a permanent resident. They now enjoy the benefits of being a resident of Canada. 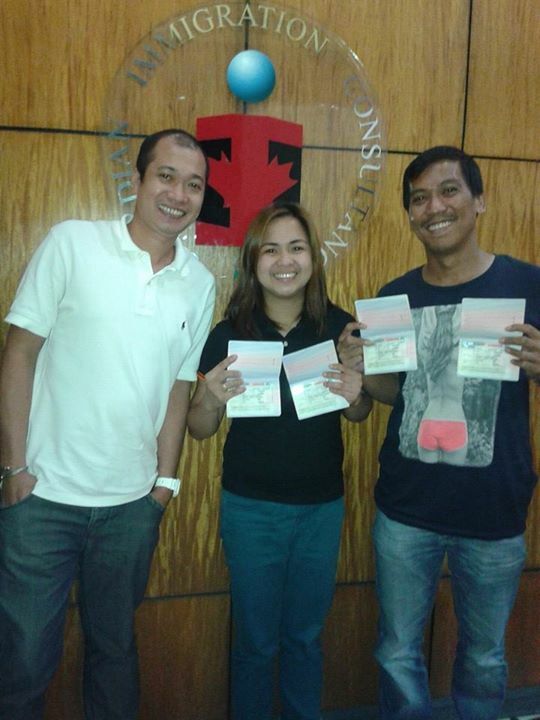 Mr. Aaron Austria is now assigned at Canadian Immigration Consultancy - SM North Branch. You may contact him via email (apaustria@go2canada.com) or via Mob No. 0916-6878423.